Beacon House to helps homeless veterans and their families and veterans who are struggling. Stop & Shop for there helped. Also want to thank all the cadets and seniors. On April 7, 2018 the Leroy R. Grumman Squadron had the honor of presenting the colors at the Lt. Raymond J. Enners Memorial at Half Hollow Hills East High School at Dix Hills, New York. There is and award giving annually to NCAA;s most outstanding play in men's college lacrosse. The Lt. Raymond J. Enners Award is an award given annually to the NCAA's most outstanding player in men's college lacrosse. The award is presented by the United States Intercollegiate Lacrosse Association (USILA) and is named after 1st Lt. Raymond J. Enners, who attended the United States Military Academy, class of 1967, and served in the U.S. Army during the Vietnam War. While leading a platoon, he was killed in combat on September 18, 1968. Enners received the Distinguished Service Cross, the Bronze Star Medal, and the Purple Heart for extraordinary heroism in combat in South Vietnam. He was a member of the 1963 All-Long Island lacrosse team, a 1967 USILA Honorable Mention All-American, and was inducted into the Suffolk County Hall of Fame in 2004. The award was first given in the season immediately after his death. The Lt. Ray Enners Award, another award named after Lt. Enners, is presented annually by the Suffolk County Boys Lacrosse Coaches Association to the outstanding high school player in Suffolk County, New York. Frank Urso is the only athlete who has won both awards, in 1972 and 1975. In 2016, Richard Enners authored the book "Heart of Gray", the story about his brother LT. Raymond J. Enners, Alpha Company, 1-20th Infantry, 11th Brigade and his courage and sacrifice in Vietnam. The Grumman family burial plot in Laurel Hollow, Nassau County. The first Civil Air Patrol members of 1941 were a heroic breed, men and women who served their country by sinking or chasing away German submarines off America's East and Gulf coasts. As a result of their bravery, patriotism and tenacity, CAP sub chasers effectively thwarted German U-boat attacks and, in the process, saved countless lives. Today, CAP handles 90 percent of inland search and rescue missions, with approximately 75-100 lives saved each year. Our members are generally the first on the scene transmitting satellite digital images of the damage within seconds around the world and providing disaster relief and emergency services following natural and man-made disasters, including such phenomena as 9/11, Hurricane Katrina, Texas and Oklahoma wildfires, tornadoes in the south and central U.S., North Dakota flash flooding and the October 2006 earthquake in Hawaii, as well as humanitarian missions along the U.S. and Mexican border. Unlike our founding CAP fathers, many of whom flew their own airplanes and performed life-threatening missions without any formal training, our more than 55,000 members are now provided with top-notch, year-round professional development training opportunities and with aircraft equipped with the most advanced technologies available for search and rescue. The CAP Cadet Program is a year-round program where Cadets fly, learn to lead, hike, camp, get in shape, and push themselves to new limits. If you?re dreaming about a career in aviation, space, or the military, CAP?s Cadet Program is for you. In emergency services and operations CAP not only need aircrew members, but also ground team members to aid in the rescue of survivors or to assess damage after a disaster. CAP needs communications personnel to relay critical messages when there is limited or no telephone support. Administrative staff, financial managers, logistics and supply personnel are needed to document missions and get personnel critical supplies and equipment in the field that they need to conduct missions. CAP also needs adults to support the cadet program. CAP has over 23,000 cadets across the country that need mentors willing to help guide and support them. The cadet program provides young adults between the ages of 12 and 21 a well rounded program of leadership, aerospace education, physical fitness, and moral and ethical decision making. In today’s world we need good people who are willing to step up and help provide a healthy, drug-free environment to develop tomorrow’s leaders. Many former cadets have gone into the military, government jobs, or private sector employment where they can and do make a difference, and really excel. There are many military general officers that were once CAP cadets. Senators and congressman, CEOs and others credit their success to CAP and the adult members who mentored them. CAP needs adults for its aerospace education program. In addition to educating our own members, CAP’s adult leaders provide training and resources to teachers who reach out to students of all ages across the country. Aviation and aerospace impacts the lives of Americans every day, and CAP works to ensure that citizens know how valuable aviation and aerospace is in our world. This element is a self-paced study based on the Textbook Aerospace: The Journey of Flight. All senior members have the responsibility to read and become knowledgeable with the content of this text. Once members are ready to take the Yeager test, they can do so on-line within eServices or using offline paper-based options. Members are encouraged to take the test on-line. Members completing any of the options will receive the Charles E. Chuck Yeager Aerospace Education Achievement Award and are authorized to wear the Yeager Award ribbon. This element involves the orientation and training of unit AEOs. The CAPP 215 specialty track, developed specifically for AE staff professional growth, is available on the CAP website. The specialty track consists of three phases: Technician; Senior; and Master. All three phases are evaluated by a written examination (available on-line) and by demonstrated performance. Achievement of the Technician rating in the Aerospace Education Officer specialty track authorizes the wearing of the AE badge. A bronze star is added to the AE badge upon achievement of the Senior rating. A gold star replaces the bronze star after achievement of the Master rating. When the Master specialty track rating is earned, and the CAP member is an active aerospace education officer, as certified by the commander, the CAP member will be awarded the A. Scott Crossfield Award. This element outlines the leadership required for the AE portion of the CAP mission. The term leadership applies to every CAP member and specifically to commanders and AE officers. Commanders at all levels should demonstrate support for the AE mission and staff each authorized AE position with individuals who conduct and support aerospace education in the unit. Region, wing, unit commanders and AE officers provide leadership and assistance to ensure an effective AE program. This element establishes the obligation for each senior member to create his/ her own individual continuing education program on aerospace topics. Every member has a personal obligation to sustain a level of aerospace knowledge that will ensure a strong professional organization. Reading professional magazines, journals, and books is a way to achieve this element. Unit AEOs can facilitate individual continuing aerospace education by conducting aerospace education programs including such things as hands-on activities, guest speakers, and field trips. This element makes it the responsibility of all senior members, and not just unit AEOs, to promote aerospace education within CAP and in their communities. Visiting schools, talking with educators and school administrators, giving school presentations, writing newspaper articles and directing a unit hands-on activity are among those examples that exemplify the fulfillment of this element. Aerospace education is also a major part of the cadet program. Cadets study aerospace books and perform hands-on aerospace activities in a group or by themselves. Cadets must complete formal aerospace education requirements to progress through the various achievements of the cadet program. Cadets must complete staff duty analyses, one of which is Aerospace Education Officer, and serve as aerospace mentors to other cadets. CAPR 52-16, Cadet Program Management, defines the cadet program and outlines the aerospace education requirements. A qualified senior member must directly supervise cadets less than 18 years of age. Cadets 18 years of age and older can be qualified to serve as ground team leaders, mission pilots, and several other positions of authority traditionally considered adult qualifications in accordance with applicable SQTRs, but cadet protection policies must be followed. If adult members are assigned to a team in a subordinate position to a cadet, the adult member may exercise command authority if necessary to avoid extreme risks endangering the team. Only cadets 18 years of age and older, who hold a valid CAPF 101, Specialty Qualification Card are authorized to fly on aircraft involved in the performance of emergency services operations. Any cadet may be flown directly to and from a mission base when needed to perform mission duties, provided the pilot-in-command is at least a qualified mission transport pilot. Adult leaders shall not subject cadets to known threats of violence. We cannot assume that parents of cadets understand and expect that their cadets could be exposed to health risks that are sometimes taken for granted during disasters nor can we expect that minors (including cadets under 18) can fully appreciate those risks. Cadets under 18 shall not be exposed to conditions in which their health is jeopardized by exposure to decomposing bodies and hazardous materials. Nor, absent parental permission, may they be exposed to widespread suffering. That does not exclude cadets from qualifying and serving in specialties with a potential for exposure, but rather requires adult leaders to be cognizant of the dangers associated with the missions being undertaken and taking appropriate action to protect all members, especially cadets. The requesting agency sets the scope of CAP's response, subject to any restrictions set by the Air Force authority for Air Force-Assigned Missions. Our customers tell us what assistance they need. Our customers may have minimum age restrictions. CAP shall honor those restrictions. That does not mean that CAP adult officers should discourage use of our cadets especially when discussing our capabilities with external customers. A requesting agency's minimum age restriction or specific guidance may require that we utilize these younger members in supporting roles at their home units or in safe areas away from the forward operating location in order to comply with the agency's needs, or in limited circumstances to preclude cadets from participating. Cadets under the age of 18 are not provided the same benefits for Air Force- Assigned Missions as adult members. Additional information is available in paragraph 1-22, CAPR 900-5,The CAP Insurance/Benefits Program, Sections D and E, and through the NHQ CAP/GC. We have a plane and pilot available this Saturday, 16 March, for a Cadet Orientation Flights. The weather alternate is Sunday 17 March. - Five (5) Flights with up to four Cadets per flight (1 Front Seat + 3 Back Seat Observers) have been scheduled Cessna 206. (1600 Lincoln Avenue, Holbrook, NY 11741). -LtCol Daniel Rogers will be the pilot. His duty time will begin at 0830L and end no later than 1700L. -Below is the link to the shared Google Sign Up Sheet. Please only have the unit commander or their designee complete the requested information within the green boxes. Note: the maximum Cadet weight limit for each flight is 450lbs. -The spreadsheet will close on Friday 15 March at 1200L, so the pilot can prepare the sorties. There can be no last minute additions or substitutions due to weight/ balance and accountability issues. If you need to remove a Cadet, please do so at anytime. Any questions or concerns please email me at this address. If anyone needs to be added or removed from this email list, please let me know. Don't miss out! 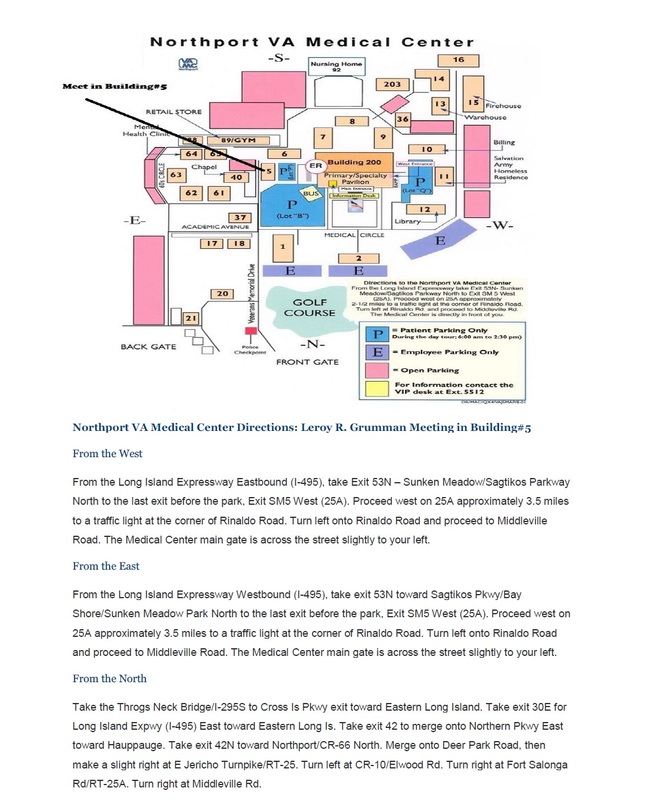 Come meet cadets throughout Long Island Group and receive a very helpful Billy Mitchell Exam Study Guide!